First Solar may be losing ground in utility-scale solar. 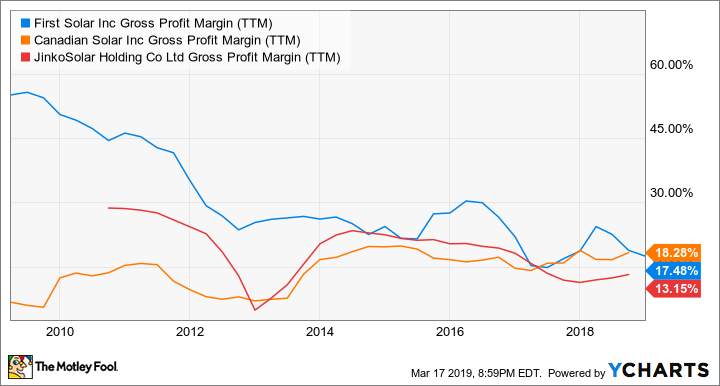 No solar manufacturer relies on the U.S. market as much as First Solar (NASDAQ:FSLR) and that's both a point of strength and weakness for the company. First Solar's U.S. manufacturing and differentiated technology allowed it to escape the tariffs that hit most solar manufacturers in early 2018, which has given it a cost advantage and was one of the big drivers of its stock surge in 2017 and into 2018.